What is Generations of Faith ? Generations of Faith is the name we give to our faith formation experience. Here in the northern part of New Jersey, the Catholic faith has been practiced faithfully by many generations since 1765. Generations of Faith is an approach that helps the parish to become a community of lifelong learners. It embraces all ages and promotes faith growth at home through participation in the Sunday Eucharist and the parish faith learning experiences. Can households register for Generations of Faith ? If you would like to register online, please go to the first post and click on the link that is found there. Do children learn the basics about the Catholic faith ? Is there a focus for the sessions ? At the gatherings the basics of the Catholic faith are taught. This is done by using a variety of medium. But learning the basics of the Catholic faith depends on whether the family is committed to engaging and practicing their faith beyond attendance at the sessions. Resources and quality Catholic materials are provided to assist families in doing this. Our focus for 2018 – 2019 is the Basics of the Catholic Faith including the practice of reading the Bible. Is it expected that parents come to the gatherings with their children ? Learning about our faith is not just for children. It’s for all of us and it’s a life-long endeavor. Research shows that families are more effective and stronger when they have the support and encouragement of those around them. The whole family needs to actively participate in the practice of our Catholic faith throughout their lives, and then children will come to understand faith not as a childhood affair, but a life-long learning process. Do children attend Generations of Faith after they have received Holy Communion? Yes ! Absolutely ! Learning about our faith is a life-long adventure. At Generations of Faith children continue to learn about the Catholic faith and how it affects their day-to-day lives. 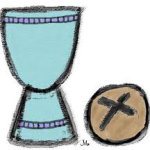 Also known as the Eucharist, Holy Communion is the “source and summit” (CCC # 1324) of the Catholic faith because it is truly the Body, Blood, Soul, and Divinity of Our Lord Jesus Christ. 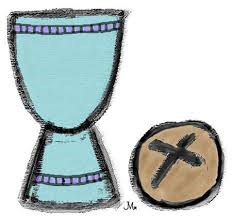 The bread and wine at the Mass become the holiest of holies through the priest’s words by the power of the Holy Spirit. The moment when the Bread and Wine become Jesus Christ is called transubstantiation (CCC # 1376). What can parents do to prepare their children for First Holy Communion? Parents set their children on the path at birth. The family home is the place where religious faith and spiritual awareness of children is first nurtured. Family life is holy; it is sacred. As children experience God moments which occur daily and in the relationships of family life, their friendship with God deepens. The parish community supports their growth in faith and helps them respond to Jesus’ invitation to follow him. What can parents do to support their children ? Tell them bible stories. Answer their questions. Make Mass a family event. Point out something each week for your children to look for at church. Before Mass decide as a family what you will pray for during the Intercessory Prayer. Continue to pray for this intention during the coming week. Celebrate children’s Baptismal Anniversaries. Have a family treat while enjoying memories and pictures of the special day. Enjoy living a beautiful Catholic life EVERY DAY ! The first step in preparing children and youth to receive Holy Communion and Confirmation is regular attendance at Mass on Sunday. When can children receive First Holy Communion ? Children may receive Holy Communion when they have a desire to receive Jesus, are learning about the Catholic faith and are going to mass regularly and faithfully. At St. Joseph Church we follow the sacramental guidelines of the Diocese of Paterson. When children reach the age of reason, around 7 years of age, and when they have completed one full year of religious education, they may enroll in the preparation process for the Sacraments of Penance and Holy Communion. This process we call A Child’s Path to Holy Communion. It begins in the Fall with preparation for the Sacrament of Reconciliation, Penance, followed by preparation for the Sacrament of the Eucharist. Who can be a part of Youth Ministry? The ministry is open to all high school teens — those preparing for the Sacrament of Confirmation and those who have already received their Confirmation. How will I be informed of the events? Our calendar will be posted for the upcoming year in August. From time to time additional special events or service opportunities may be available. Please check for periodic updates to the calendar. We use Flocknote to send texts and e-mails re: sacramental preparation, special events and youth ministry. It is important that you list an active email address on the registration form. However, if at any time you would like to speak with our Youth Ministry team, please contact the parish office. What should I be doing if I want to prepare for the Sacrament of Confirmation? Those who wish to prepare for Confirmation have the desire to grow closer to God through prayer and the sacraments. They should be engaged in the practice of living as a disciple of Christ. At St. Joseph church we encourage all teens and their families to follow the 8 Components of a Comprehensive Youth Ministry Program (as outlined by the United State Conference of Catholic Bishops). Be faithful to attending Sunday Eucharist (mass). Attend the required number of faith formation sessions. Perform a ‘Service Activity’ each year. This ‘Service Activity’ includes a written reflection. The guidelines for this service activity can be found under ‘How Can I Serve’. Help with at least one session of bingo at Milford Manor each year. 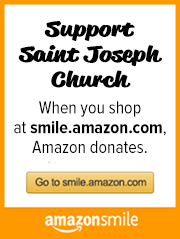 Help at the St. Joseph Cares Food Pantry at least one time each year. Participate in two retreats during the first year of youth ministry. Attend an overnight, Antioch retreat. (Teens must be in at least 10th grade). After your teen has been an active participant in youth ministry by completing the above prerequisites, immediate preparation for the sacrament of confirmation is offered as a choice to all who come forward. This occurs usually around the middle of sophomore year. What is Preparation for the Sacrament of Confirmation and what are it’s objectives? At St. Joseph church, confirmation usually takes place in the fall. The preparation session is scheduled the spring before the sacrament is celebrated. What are Faith Formation Sessions? The community of St. Joseph Church has made a firm commitment to use its resources to nurture the faith development of all its members. Our beautiful Catholic faith has been handed down from one generation to the next since 1765 and so we call our intergenerational gatherings Generations of Faith. It is the way we do faith formation at St. Joseph Church. Each teen must register for Generations of Faith with their family each year. In the first year of youth ministry, teens attend Generations of Faith with their family. In the second year of youth ministry, only the teens attend Decision Point. Decision Point takes place on select Sunday evenings throughout the school year. The Corporal Works of Mercy illustrate the ways to show charity toward others. They include the kind acts by which we help our neighbors with their material and physical needs; feed the hungry, shelter the homeless, clothe the naked, visit the sick and imprisoned, bury the dead, give alms to the poor. The intention of St. Joseph Youth Ministry service is that you will perform the Corporal Works of Mercy by helping people in need. People who are poor, homeless, sick, dying, mentally or physically challenged, or in need of education, supervision. We have included some suggestions for service activities on the second page of this document. We ask that reflect on the service you perform . Special events include, but are not limited to, additional learning, prayer and worship and justice and service opportunities. For a complete list of special events offered, please search ‘Special Events’ in the search bar in the upper left corner of the screen. What About Prayer and Worship ? Faithful attendance at Sunday Eucharist (mass) is expected. There is a youth mass each month at 12 noon in the church. Retreats – The retreats offered are a unique experience of prayer, reflection, community building, sacraments, games, activities, personal growth and fun! Those who wish to receive the Sacrament of Confirmation must participate in two retreats during the first year of youth ministry. In addition, teens must attend an overnight, Antioch retreat. (Teens must be in at least 10th grade). Many groups depend on our support so they can reach out to others. Consider giving the cost of a movie or your earnings from an evening of childcare or part-time job.Please think about contributing to one of these groups. 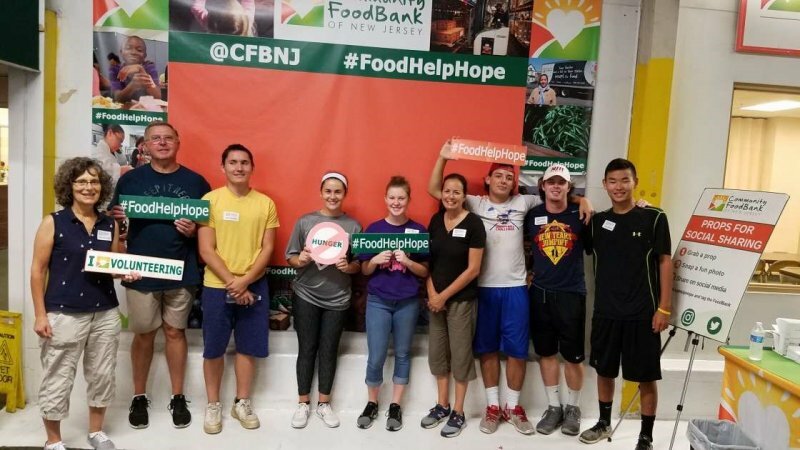 St. Joseph’s Food Pantry can always use food items and paper products. Check the bulletin for specific needs. Buy and donate some of them. Peer ministers plan and lead special events for the middle school and high school youth of the parish. Some examples are: leading a reflection and reconciliation service for the 7&8 grade youth, leading orientation for teens and parents entering youth ministry, leading Sunday night youth group meetings and leading the Antioch retreat. Peer Ministry begins planning events for the next school year in the spring. Teens may request to become a peer minister after they have been an active participant in youth ministry, have decided that they would like to receive their confirmation and have participated in the immediate preparation for the sacrament with the intention to be confirmed in the fall. Activities are planned throughout the year. They are listed in the Weekend Bulletin as they are offered. As parents, what are our responsibilities? Youth Ministry is staffed by our Youth Minister and Coordinator of Adolescent Faith Formation under the leadership of our Pastor. We welcome you to contact us regarding youth ministry or the faith formation of your teen.